Sustainability | Newfound Resources Ltd.
Sustainability is more than just a catch phrase. At NRL we take sustainability seriously and we know that maintaining a healthy resource dictates the future well being of all stakeholders including our employees , our suppliers , our partners and our company. We also know that permission to prosecute a fishery carries with it a tremendous responsibility to ensure that the fishery resource remains robust and healthy for the benefit of the generations that follow. 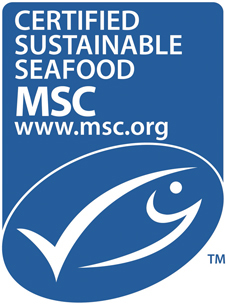 We are proud of the fact that in 2011 our fishery became one of the first fisheries in Canada to be certified by the Marine Stewardship Council ( MSC ) as a sustainably harvested fishery. But our commitment to sustainability doesn’t end there. Through the use of award winning bycatch separation equipment we have virtually eliminated the incidence of bycatch in our fishery. We adhere to strict codes of conduct related to not only the growing number of marine protected areas (MPA’s) off our coast but also important avoidance protocols for marine corals, sponges and other life forms in our ecosystem. It’s all about balance, respect and coexistence …..and we’re serious about that.